These are great stories, full of lust and revenge and superstition. But as a keen cook, I am left wondering what went into that cauldron, apart from the eye of newt etc. Now this may be the longest-winded introduction to a recipe I’ve ever been guilty of, but last time I made beetroot soup, I did think it could be mistaken for a particularly viscous vat of blood. Don’t let that put you off! Careful handling in this recipe keeps the maximum amount of colour and flavour in the beets, resulting in a deep ruby bowlful of earthy sweetness. The horseradish cream spikes it with a refreshing jolt of acidity. 1. Heat oven to 180 deg C. Carefully wash the beets, being careful not to pierce the skins, and lay in an ashet. Cover with tinfoil and bake for about 90 mins, depending on the size of your beets – if small, an hour may be enough. 2. Dice the veg, grind the cumin. Warm the oil in a large pot and add the veg, the peeled and sliced garlic, thyme, cumin and pepper. Stir, fry a few minutes, then put the lid on and leave the mixture to sweat in its own juices for about 30 mins. 3. When the beets are baked, allow them to cool a little for ease of handling, then carefully slice off the knobbly/hairy tops and bottoms. Peel the skin off – hopefully it will just rub off in paper-thin shreds, but if not, peel as thinly as possible. Chop and add the beets to the veg mix in the pot. Add boiling water to cover, bring back to the boil, reduce the heat and simmer for 30 mins. Taste and season. Blend, using a stick blender if you have one, till it’s smooth. You might need to add more water. Taste and adjust seasoning as necessary. 4. Mix the horseradish with the crème fraiche – you want it quite sharp to offset the smooth warm homeliness of the soup. 5. Serve the soup piping hot, with a generous blob of horseradish cream on top, and a scatter of croutons. I’ve been somewhat off air recently because of being busier than usual – in a great way. In the last eleven days I have retired from full-time employment; moved along with Suzi my cat to live with the Troubadour; and sat an important exam. Lots of changes, and I’m very chilled and happy. Almost as chilled as Suzi. One of the transitions is that I’m now living with a vegetarian; so that will have an impact on my normal cooking routines (tonight it’s ratatouille). Another is that I’m now living in a small town with a strong tradition of fruit-growing, preserving ancient varieties of apples and plums that were originally planted by 12th Century monks, at Lindores Abbey. So I’ll be getting involved with the orchard group. Another potential transition is that I hope to get involved with a food waste/poverty charity – more of that in the days and weeks to come. And I haven’t even mentioned the shoe-horning of me, Suzi and our stuff into the Troub’s little flat. But hey, all will be well. Here’s the new shelf, completed 5 minutes ago, awaiting the cookbooks. However – the big plan is to rev up the blog. I’ve been enjoying reading other people’s blogs from round the world and sharing comments. It’s great to feel connected with others. I might trade up to a website instead of just a blogsite, if I can figure out the technicalities. Meantime I just want to say thank you to everyone who reads this and especially to those who comment; and to put my more-frequent-posting resolution on the public record! Chop 2 onions, 3-4 cloves garlic, an aubergine and a pepper or two, and simmer with a tin of tomatoes and some seasoning for half an hour. Voila! In the wake of the Presidential election, I’m even more thoughtful about community building and neighborliness than before. It’s easy to assume the country is close and united when we have two moderate candidates in the running, but throughout this election cycle, I’ve been stunned by the differences in mindsets among the candidates, and by the closeness of the races: the country is divided. Preparing for Christmas … already? But we’ve only just had Hallowe’en! Well, some things need a bit of planning ahead. So I got my four Christmas recipe books out tonight (Delia, Nigella, Elizabeth David and Good Housekeeping ‘Christmas Made Easy’) to have a bit of a forage. The link I’ve given takes you to a good article in the Telegra ph by Leah Hyslop about this dreadful habit of acquiring cookbooks that might not get used very often … remind you of anyone? I’m pleased to see my favourites are nearly all listed. 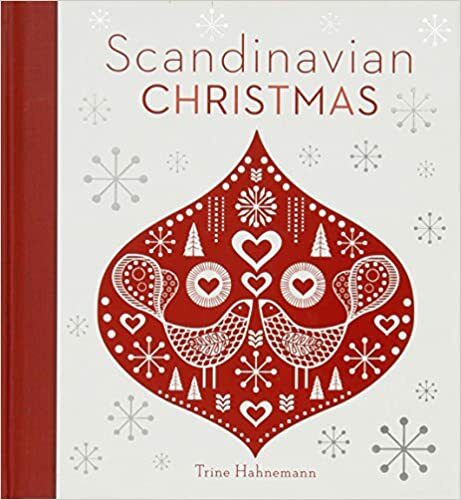 There’s also a listing of a Scandinavian one I’ve never seen – Hahnemann – and I started thinking about adding to my groaning shelf. Then I remembered I’d been intending to follow up an ad I saw in the local paper. FareShare Scotland is recruiting volunteers to collect food donations from customers at supermarkets across the UK, to complement their work in recycling fresh food which would otherwise be wasted. Waste food? Can’t have that. So I’ve signed up. The dates in question are 1st, 2nd and 3rd December. My mother died on 2nd December 1977 so I chose that date – she was a dinner lady, and took great pleasure in offering 2nd, 3rd, 7th helpings to all us hungry kids. Then when nobody could take any more, if there was still anything left it got brought home … throughout my childhood I had at least two school dinners a day! That’s probably why I’ve got such a good grip of Scotland (spot the euphemism). So now I can go back to my recipe books and my daydreams about all the nice festive things I might conjure up. And be eternally grateful that I’m not going hungry anytime soon. OK I am responding to an invitation to link my blog with another Hallowe’en one, entitled ‘Pumpkins and Togetherness’, by an American blogging lady who calls her blog ‘Recipe in a Bottle’. She has a great way of embracing the season and its little people, I might try it sometime. I hope the link works … sometimes I’m a bit witless about how to make this thing work at its best. It’s been nice reading about other people’s Hallowe’ens but now it’s more or less over so I’ll leave you with a picture of yet another batch of apples which came my way on Monday; I’ve spent part of this morning turning them into chutney. Won’t know for a month whether it’s any good, but hey, what’s not to like? Apples, dates, sultanas, onions, root ginger, mustard seeds, cider vinegar, sugar … boil and simmer … I’m sure it’ll be just fine. So we had a bit of fun at work yesterday with our memories of turnip lanterns of yesteryear. There was a bit of badinage in the ether last week about the way pumpkins have taken over the lantern world so I thought it would be a good idea to do a turnip one; and the Troubadour kindly took up the challenge. Hence the power tools. One of the articles I read last week announced: ‘Survey reveals horror story of 1.1 million uneaten Hallowe’en pumpkins’, which is clearly a disaster in a hungry world. So I wondered about keeping the innards of the neep for a pot of soup. But … behold … t his is what the innards of a neep look like after they’ve been gouged out with a power drill. Spiralised? You got it. Maybe it’s a terrible waste, making lanterns out of perfectly good veggies for one night’s mucking about in the dark. But hey. Turnips aren’t expensive. Pumpkins maybe a little moreso. I’ll put a bit extra in the Food Bank this month to salve my conscience. Tonight, however, it’s farewell Mr Tumshie-Heid because, frankly, he is mingin. Happy All Souls and Saints Days, everybody. I hope your lanterns and masks keep all the evil beasties at bay for another year.